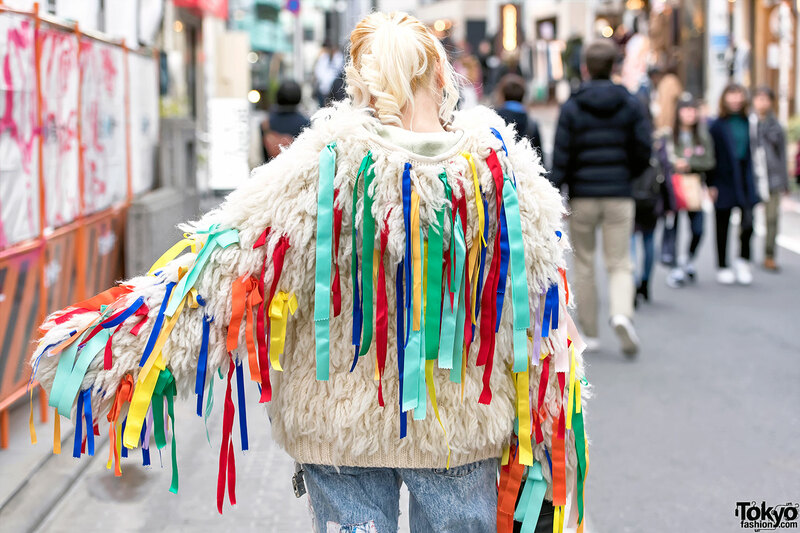 Mai Aisaki is a Japanese fashion designer and street snap model who we often see around the streets of Harajuku. Her brand is called Himitsu Gadget. 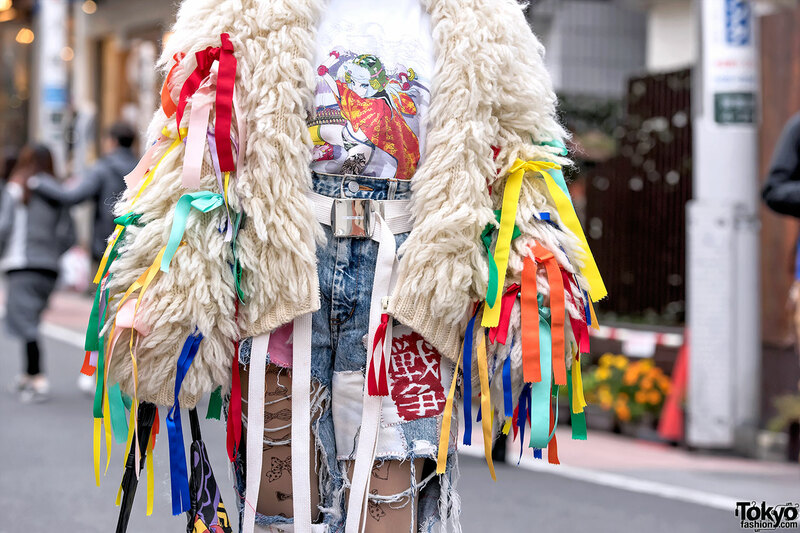 When we met Mai on Cat Street, she was wearing a furry jacket with colorful ribbons from the influential Tokyo boutique Hayatochiri Koenji, a manga illustrated t-shirt from her own brand Himitsu Gadget, ripped and painted jeans (crash denim), and sparking spiked YRU platform boots. 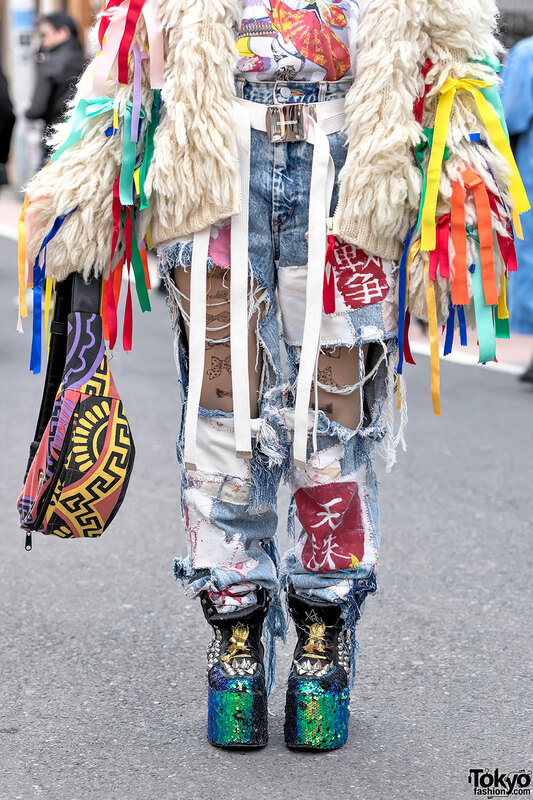 Accessories include a Jam Home Made belt, tattoo tights, and a colorful shoulder bag by KTZ. Mai told us that her favorite fashion brand is the Japanese remake/deconstructed label NINCOMPOOP CAPACITY. Find Mai on Instagram or Twitter for more info. Also check her own brand’s website. Wow! Here is something new, and cool, and fresh! 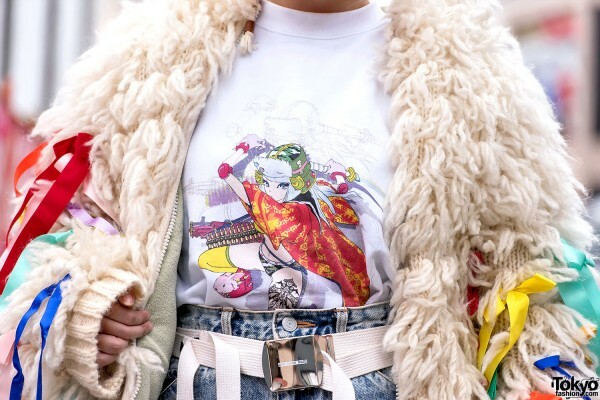 Deserves being presented at harajuku dog.